Meet healthcare compliance needs, protect yourself from blood-borne pathogens and stay safe... All online! Meet healthcare compliance needs, protect yourself from blood-borne pathogens and stay safe. 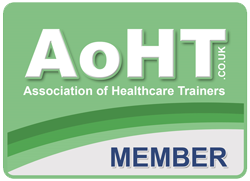 Infection Control for Healthcare Level 2 (VTQ) is available to be taken as a classroom course with one of the instructors in our National instructor network. Who needs Infection Control training? Infection Control Training is a required training program for any employee, self-employed person, or safety representative who may be exposed to blood or other body fluids. Infection Control training is required by a wide range of businesses and vocations to meet national and local authority requirements. Click here to see some of the jobs that require Infection Control training but bear in mind everyone at any time is at risk of infection. Infection Control Training is a mandated training program for any employee, self-employed person, or safety representative who may be exposed to blood or other body fluids. This course is available online or from one of our 1000 plus approved instructors. It is designed to meet the requirements and recommendations of the HSE, NHS and the medical professionals. infection control training is required in other industries outside the medical world. 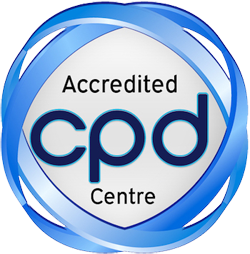 If you require a classroom course, we can adapt this course to your requirements and add other courses like Basic Life Support for Healthcare and teach them both on the same day. We also offer specific infection control courses to cater to the dental profession, tattoo artists and body piercers and beauty therapy infection control. 4.6 Rating Based on 445 Reviews. Our customers are happy with our courses and so are the companies they work for. Check out what our students have to say about their experience, or view more of our star ratings. Reading pages and pages can be boring. And waiting for a class, time-consuming. At ProTrainings, we offer a better way with our high-quality, video-based courses. Each video is led by a qualified Instructor. Get started today. Infection Control for Healthcare Level 2 (VTQ) is rated 4.6 out of 5 based on 445 ratings.